Are you a solo traveller on an Antarctic cruise? Read this! Cruising Antarctica solo? Here’s how! Planning a cruise to Antarctica without a travel companion to share cabin costs? We give you the lowdown on the amazing benefits of solo travel to this amazing continent and give you tips on how to avoid high supplement costs. And remember: just because you travel solo to the end of the world, it does not mean you’re ever going to be lonely! Antarctica is one of those destinations that attracts starry-eyed adventurous travellers and you may be surprised to discover just how many of them travel here solo. Although it is often said that travel experiences are best when shared, there’s a misconception that those experiences need to be shared with someone you already know. 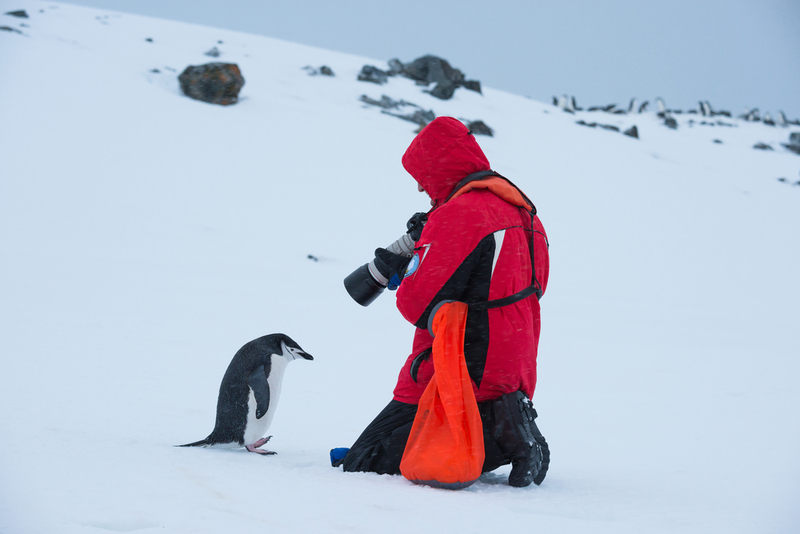 An Antarctica cruise, by its very essence, offers an incredibly intimate travel experience. When cruising to the White Continent on a small or medium-size expedition ship, you’re thrust together with a group of like-minded travellers, all eager to create the trip of a lifetime. You cruise together, dine together, ogle at marching penguins together, go on Zodiac expeditions together and spend your evening excitingly recounting the day’s happenings together. There’s a unique type of comradery that exists aboard an Antarctica expedition ship, one that is created by the sheer fact that you are all together in one of the most remarkable and isolated places on earth. Not only is it common to tackle one of these expeditions solo (solo travel to Antarctica is actually a growing trend) but it is also very common to form life-long friendships with fellow passengers. 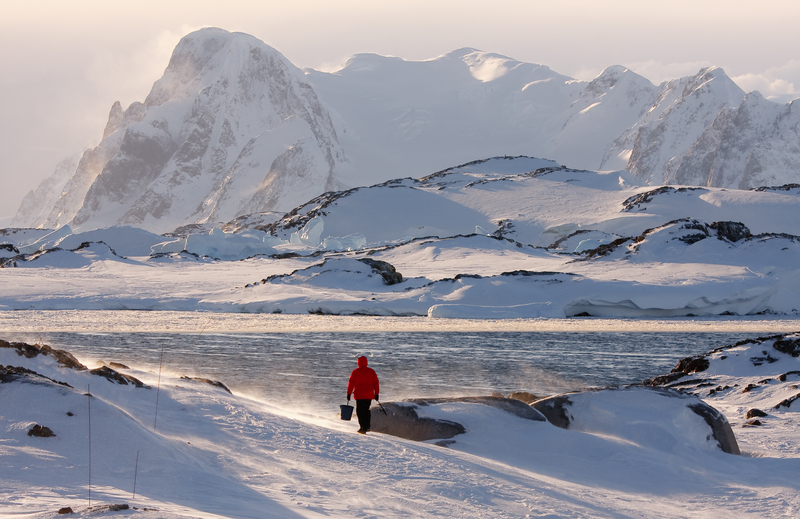 Moreover, travelling alone to Antarctica means you actually have the best of both worlds. In a place where contemplative solitude is offered on a silver platter, you have the option of companionship or aloneness, at your leisure. In this regard, cruising Antarctica solo can be one of the most rewarding travel experiences you could ever have. Solo travel to Antarctica – it doesn’t have to be more expensive! One of the best things about travelling solo to Antarctica is realising that you won’t be the only one, which means there will be other solo travellers of the same gender with whom you can share a cabin. Depending on the ship, you have a choice of double, triple and even quad shared room, so you can do away with the extra single supplement charged by some ships. Moreover, there are quite a few ships that recognize the need to cater for the growing number of solo travellers, and once you’re booked as a single in shared occupancy, you won’t be charged extra if they can’t find you a cabin-mate. But, at the end of the day, if you do want a cabin all to yourself (be it single or double) note that supplement prices among ships can vary quite a bit, so let your travel agent know if you’d prefer your own space and they’ll find the best deal for you at time of booking. Antarctica cruises are the epitome ‘group tours’ and you’ll never have to worry about sitting at a dining table all alone, feeling like the loser with no friends. No, really! Travelling alone may have some downsides in other parts of the world, but on an Antarctica cruise it is utterly inconsequential. The free seating at meal times is a genius way to mingle with different people every day and the group excursions a fabulous way to share all those once-in-a-lifetime experiences you’re bound to have. You’ll be in company from the moment you board your ship until you disembark, yet will have plenty of chances for ‘me time’ whenever you crave it. Which expedition ships are better for solo travellers? Your choice of expedition ship will likely have more to do with itinerary, travel style and budget than with anything else. Considering the fact that, nowadays, some ships travel to Antarctica with up to 80% single occupancy (yes, travelling solo really is that popular!) every ship offers exceptional service for single travellers. Larger ships will obviously offer greater chances for share cabins at cheaper prices (due to them hosting more guests and having more cabins) yet smaller ships offer a more intimate and overall friendlier atmosphere, which is what single travellers usually desire most. If we haven’t yet managed to convince you that cruising to Antarctica alone is a fab idea…then just call us! There’s an amazing group of like-minded adventurers looking to share an unforgettable journey to the most awe-inspiring place on earth. And we’d love to introduce you. To find out more about all things Antarctica check out the Antarctica – Resources, News, Facts and more.